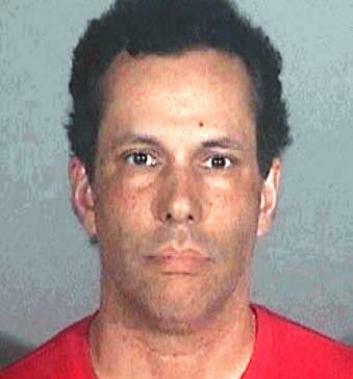 Juan-Carlos Cruz Wanted Homeless People To Kill His Wife. Allegedly. So not only did Juan-Carlos Cruz try to get a couple of homeless dudes to kill his wife, but he tried to pay them with $100 bills that had been torn in half. Super classy, don’t you think? According to Santa Monica police, the homeless men were instructed by the former Food Network’s Calorie Commando to “cut [a] woman’s throat.” Police say Cruz was arrested and booked on suspicion of solicitation to commit murder. Juan-Carlos Cruz is being held on $5 million bail. Little Dave said Cruz then gave him a box containing a box cutter, disposable cell phone, a pocket watch, and gloves. There were also ten $100 bills – each of which were literally torn in half. According to Little Dave, Juan-Carlos Cruz promised to give him the other half of the bills when the job was done, and then showed him a picture of the other half of the money. Little Dave says he then told his friend Shane about Cruz’s proposition; Shane in turn called Cruz to discuss the plan. A third guy, Big Dave, some how became involved and also contacted Juan-Carlos. Eventually Cruz and the three homeless men met up in Santa Monica where Cruz went over the plan and showed a picture of the alleged female target to Big Dave. According to later reports, the target was identified as Juan-Carlos Cruz’s wife. Cruz is said to have told the men that he picked up wife at a particular spot each day, and that he wanted one of them attack her and slit her throat as she got in her car. After Big Dave was arrested for loitering and told police of Cruz’s plan, the authorities got in touch with the other two homeless men and asked for their help to bust Juan-Carlos. The men called Cruz and said they needed to meet with him; Big Dave wore a wire during the meeting, and a cop was videotaping nearby. It’s like something out of a movie! When Big Dave told Juan-Carlos Cruz he wasn’t comfortable killing the woman in public, Cruz suggested one of the men wait in his apartment and strangle her when she walked in. After they discussed some logistics and Cruz left, the three homeless men continued to work with authorities until Juan-Carlos was arrested. And the reason for Juan-Carlos Cruz allegedly wanting to kill his wife? The men told police Cruz said his wife has received a family inheritance, but no such inheritance existed. Big Dave also said Cruz told them she had put a hit on him first. next post: Who Won Survivor Heroes vs Villains?